The Philips branding department haven’t done a great job with the the not very excitingly named 272G5DYEB monitor, but the engineering team seems to have faired better. They’ve managed to pack in all the gaming features you might be looking for into this robust package. So whilst it may be lacking the gamer branding the Philips actually looks like it is worthy of a good look. We here at monitors-uk aren’t swayed by flashy box and some red trim. Let’s see what this can deliver. The 272G5DYEB is a 27″ gamer friendly bit of kit that can deliver 144 frames per second with low latency and fast response times. Add in Nvidia’s G-Sync and now you’ve got our attention. The Philips 272G5DYEB is a fairly plain looking monitor with a chunky, by today’s standards the bezel is perhaps thicker than you’d want. I won’t be awarding this screen any prizes for design. But aesthetics are a personal choice so – look at the pictures and make your own mind up! But don’t let the looks get you down, as you’ll see below, this monitor can deliver gaming performance that is more memorable. Being a G-Sync system you’ll be connecting with DisplayPort to a compatible Nvidia graphics card. 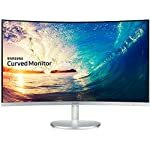 If you don’t have one then you’ll be wanting to look elsewhere as the monitor won’t be worth the extra cost of this technology if you can’t even use it! It also has built in USB 3.0 ports to help keep cables tidy on your desk. The stand has the full range of adjustment options including the ability to raise or lower by 5.9″. You should be able to position this just where you want it. This TN based monitor offers fantastic response times, but as usual this panel type provides limited viewing angles. Unless you look at the screen center on you’ll notice the colours won’t look right at all. This isn’t an issue for most desktop setups and many of us will be used to this already, but it’s worth considering. It runs at a max resolution of 1080p, that’s HD to the rest of us. Many gamers are now looking for higher resolution monitors so this might put you off. But that said, 1080 is still a viable option and still holds up on a 27″ monitor. This is especially true if you don’t have the hardware to power a QHD or UHD screen. If you do have a top range rig, it’s worth considering paying more for a 1440p screen. The 272G5DYEB has G-Sync built in which, as expected, delivers smooth tear free images even when your graphics card starts to drop frames. 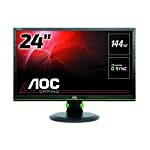 With 144hz refresh capability you can get fantastic images from this display, it’s perfect for fast paced action games. We give the Philips 272G5DYEB a 4 out of 5 rating. Want to know what existing owners of the monitor think? You can read real user reviews here. 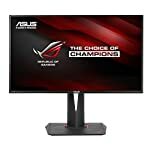 Should I buy the Philips 272G5DYEB? 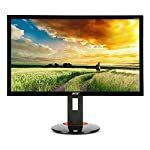 This Philips monitor is built for gaming, it can refresh the screen at over twice the rate of a standard monitor thanks to the 144hz refresh rate! Add in G-Sync and you've got a good contender for a spot on your desk. You'll need a modern Nvidia graphics card to pair with it. If you are having some doubts about this purchase then why not read some real owner reviews and see what other buyers think. Welcome to the Philips 272G5DYEB FAQ. This section attempts to answer common questions you may have, please get in touch if you have any more queries or if you think our answers need updating. Can I play games in 3D? Yes, but only if you have the Nvidia 3D Vision Kit.